I found our first egg yesterday! 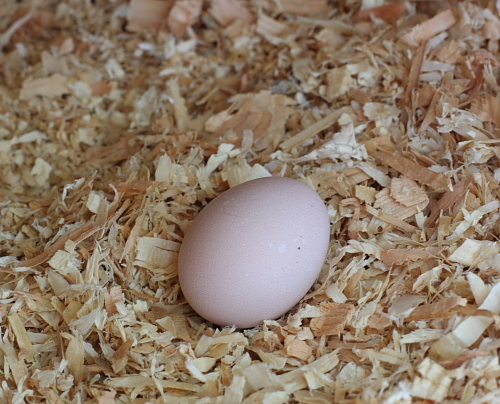 It was such a surprise as it wasn't laid in the nesting box and we were not expecting eggs yet. Chickens start laying their first eggs after five and half months so the eggs were due next week. When we let the chickens out this morning we found our second egg! The second egg is a little bigger than the first egg but neither is quite to size yet. We don’t know which chicken is laying the egg; any idea how to figure that out? We couldn’t wait to have our first egg for breakfast; we compared it to the organic, free range eggs that I buy at the farmers' market, which is at the bottom of this photo. Our egg is at the top. Our egg was small, but otherwise it looked just like the eggs that I grew up eating in Calabria. 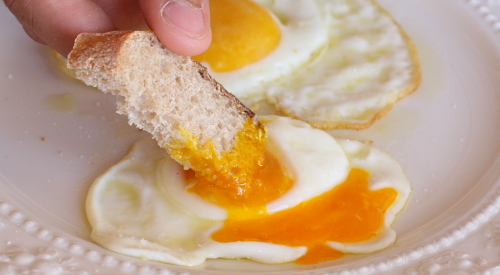 The yolk was an intense orange and the taste …well what can I say? There was no comparison. 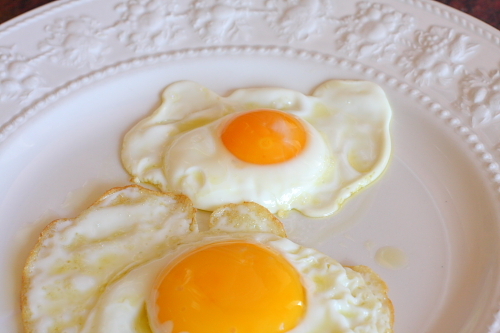 I fixed it the way I always loved to eat them when I was a kid, fried in extra virgin olive oil, sunny side up. 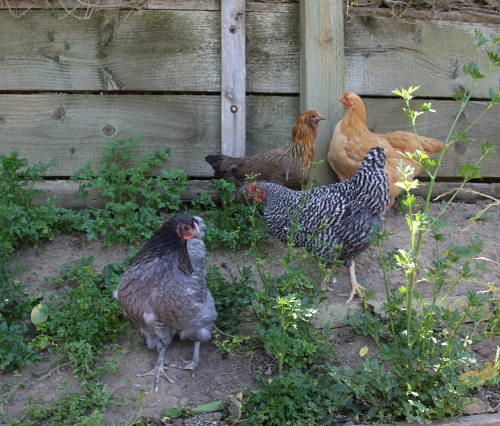 Here is a picture of our chickens, all grown up now. Our challenge now is to teach the chickens to lay their eggs in their cozy nesting box! Any suggestions?